“No pain, no gain”, “no cross, no crown”, “no guts, no glory” - you’ve heard them all, right? Pompous sayings like that are righteous and probably true, but plain unacceptable for lazy people like me. I seek for easy ways in everything - in life generally and in e-Commerce particularly, and if that’s how you roll too - the following article will suit your taste. 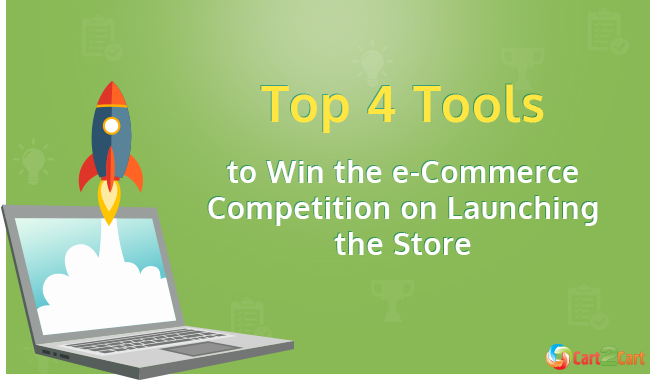 It’ll list the top 4 e-Commerce tools that simplify finding right products to sell, right store launching strategies, right product images and right SEO tactics. So, basically it’ll simplify your way to e-Commerce success. 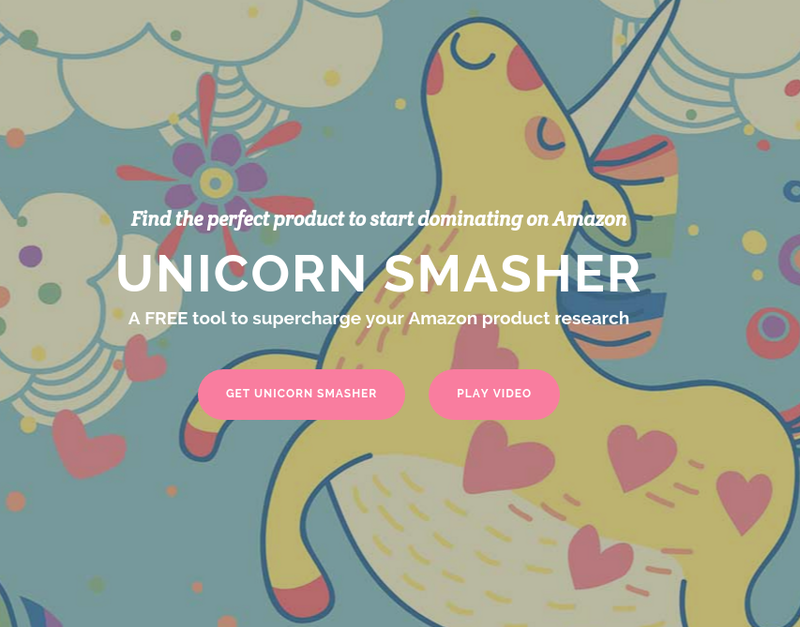 If you’re obsessed with the idea of making business, but unclear what to sell yet, the free tool Unicorn Smasher will help you out. There’s probably no simpler method to size up a niche than using it. Smasher shows products prices, variations, reviews, ranks, estimated sales and revenues from products on Amazon. It conducts an extensive research that would otherwise take weeks to complete, and permits to download the results in a handy CSV format. Don’t neglect it, beat a life out of Unicorns. Sighing wistfully and waiting till clients show up isn’t what you should be doing after opening a store. If that happens, you’ve missed a crucial step in an online business building - a client's base preparation. You should collect potential customers before launching a retailer, and one of the proven methods to do that is creating a viral loop. That means publishing a web page, that informs visitors about the soon opening of your store, suggests a tempting offer and requires an email address. For instance, your bait might be substantial discounts for the first shoppers, bonus funds for referring people to the viral loop page and additional credits for sharing it on social media. Give people an easy chance to get benefits, and they’ll thank you by making your shop popular. 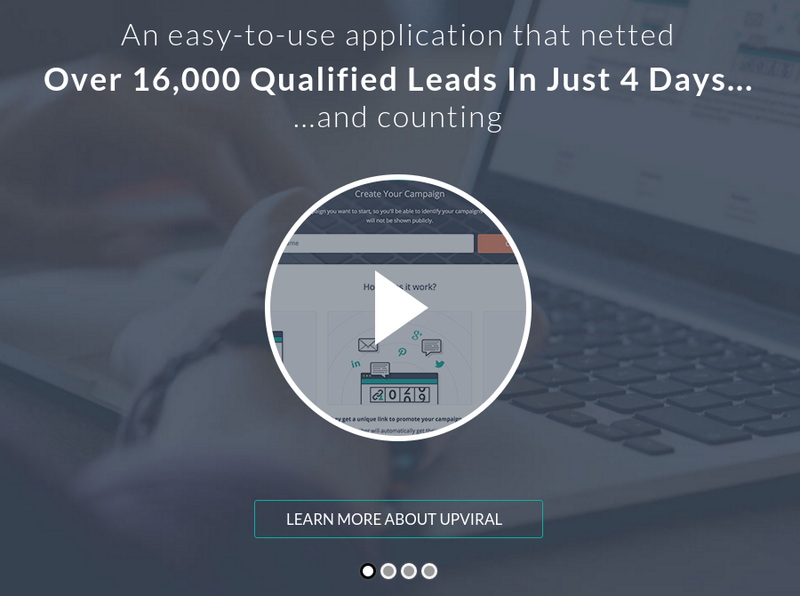 The tool that appears to be most helpful in this regard is UpViral. If you read its website testimonial section you’ll find claims like “We collected over 100 000 of new subscribers in first month”, “We got more than 9000 leads through this tool in two weeks!” etc. Sounds great, huh? So, don’t hesitate any longer and join the army of its happy users! The war for recognition isn’t easy since you’re battling with lots of competitors at once, but there are tools that can help you, by providing the needed info about rivalries. Your personal spies, if you will. The best one of them, in our opinion, the James Bond, is SEMrush. It shows you which keywords bring organic traffic to your competitors, where each of them ranks for, how much search volume generates and even to which competitor’s landing pages it directs visitors to. Also, SEMrush presents convenient keyword research options. It’ll help you determine the best keywords to target, reveal the top sites ranking for them at the moment and which competitors are bidding on them with Google Adwords. Product images is what customers evaluate your items by, at first. All of us are far more easily convinced by good looks than by textual descriptions, you know that. So, how to make attractive shots that would sell products when you’re not, in the slightest, a photographer? The answer is - take regular photos and send them to Pixc. They’ll remove distracting backgrounds and replace them with just a color white. That’ll make images look stylish, clear and professional - the way you want them to look like. Pixc offers a free trial - submit a picture and see how they enhance it in a timely manner. If you like the results (which we’re sure you will), make the service your long term, helpful and efficient business partner. It won’t ever let you down. Not using helpful e-Commerce tools, for financial or other reasons, will come back and bite you later - your fully equipped competitors will crush you, no matter how good your products are. So, don’t let that happen! We hope that each of the 4 tools listed above will help you improve your online business and pull ahead of market competitors.